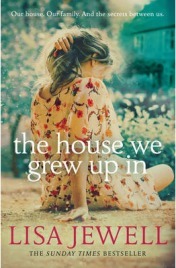 Lisa Jewell is one of my favourite authors and I have just delighted in reading her latest book, The House We Grew Up In. It is an absorbing tale that tells the story of the Bird family who grew up in the house mentioned in the title. Once they were a happy, thriving family; that was until a devastating tragedy befell them that they felt that they would never be able to cover from. From that day forward the family starts to be estranged from each other with each member choosing their own destructive course to follow. It is only many years later when another sad event brings them all back to the family home that they start to come to terms with what happened so many years ago and, as a consequence, their emotional wounds start to heal. This is a wonderful tale about a troubled family that the reader just can’t help warming to. Most troubled of all is mum, Lorelei, whose hoarding compulsion is quite tragic especially as it alienates her over time from the rest of the family. As they grow up and move into adulthood, all of her children have troubles of their own which they each deal with in different ways. This is essentially a tale of facing up to demons though and the message is strong – families need to talk and accept each other for who they are. Will the Bird family be able to do this or have their relationships broken down too far to ever be repaired? The House We Grew Up In is the sort of book that you just won’t want to put down. I find that this is the case with all of Lisa Jewell’s books but this is definitely one of her best. The story moves between the present and the past with the author skilfully filling in all the missing parts of the jigsaw that will enable the reader to fully appreciate what has happened to this tragic family to cause such unhappiness. She writes in a particularly moving way and I must confess that there were moments when I had tears in my eyes as I was reading. I also liked all of the characters immensely and that is something that is very important in terms of reading enjoyment. The House We Grew Up In; if you have never read any of her books, this would be a great one to start with. I thoroughly recommend it for an enjoyable and moving read. No Comments on "The House We Grew Up In"